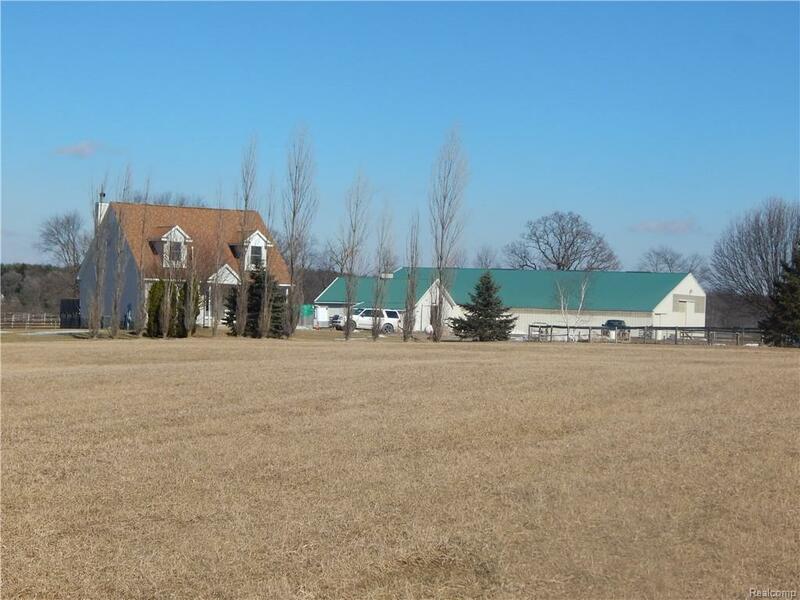 HOWELL HORSE FARM with everything you need on 18+ slightly rolling acres w Indoor Arena! 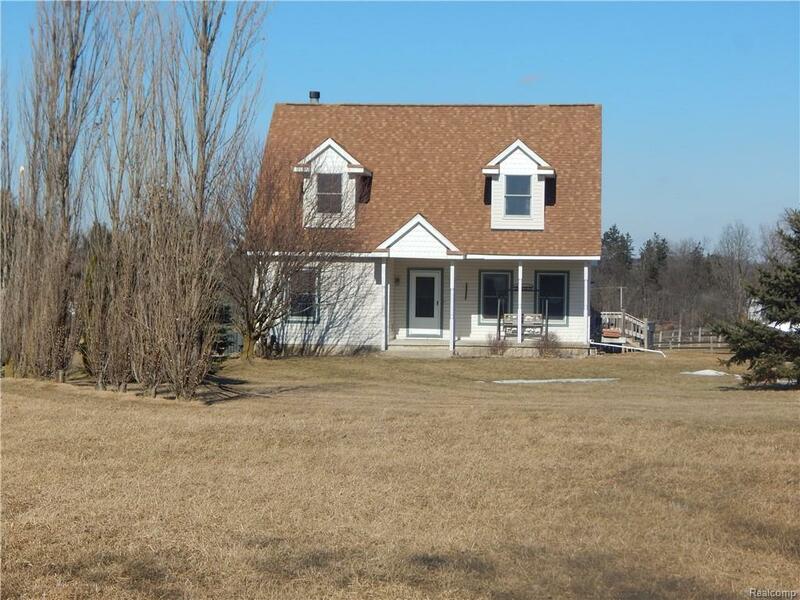 Beautiful Cape Cod home w Master Suites on the entry & upper levels. Entry level bedroom suite would make a nice in-law situation. Open floor plan, 1st floor laundry, spacious kitchen with some stainless steel appliances. Nice wood and laminate floors. Great room has a fireplace that offers a natural wood or gas option. Bedrooms have walk-in closets. Basement is huge with high ceiling and walkout french doors, ready to finish any way you want. Nice deck off kitchen. 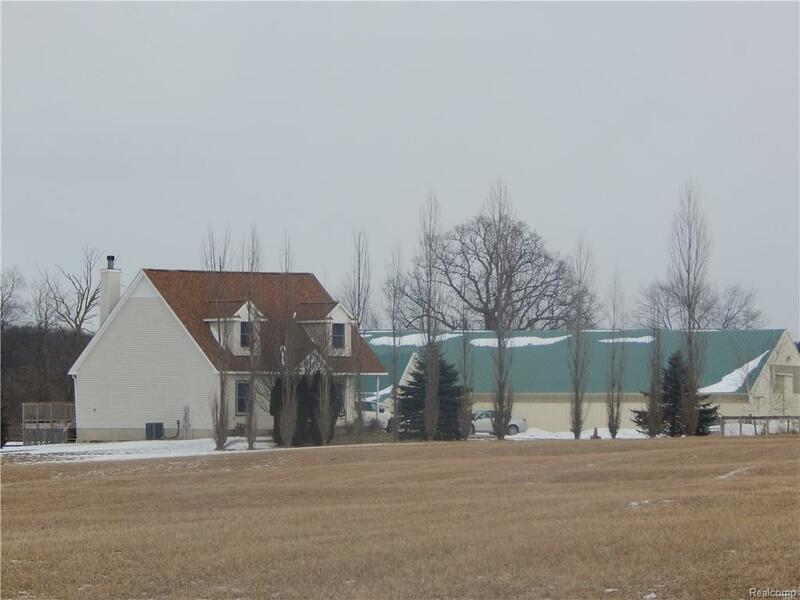 Great views out every window.The horse facility has a 60X120 indoor arena, 12 boxstalls, that are 10X12, 36X36 barn w 4 additional stalls, hay storage, tack and wash rooms, several fenced paddocks/pastures w room for more, 60' round pen, 80X100 outdoor arena. Move in ready for you and your horses! 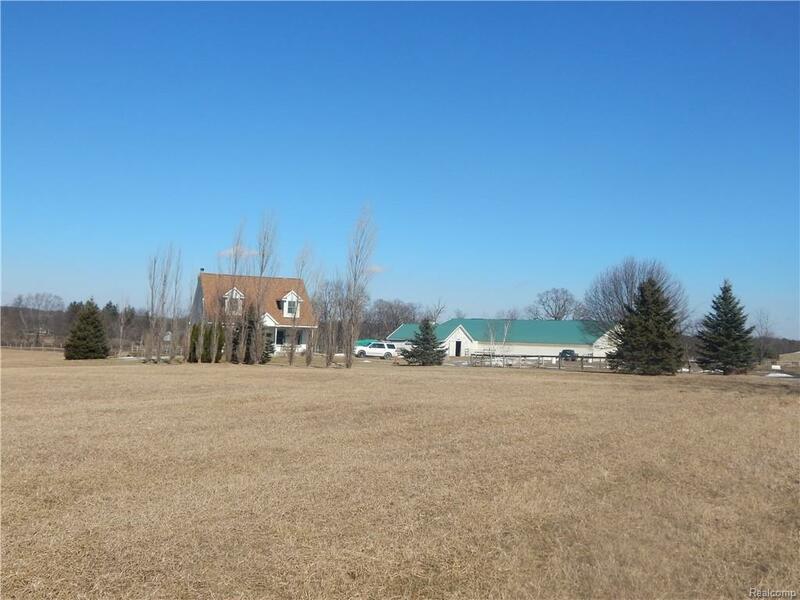 Great location only minutes to I96, US23, Lansing, Howell, Brighton, the outlet mall & MSU Livestock Pavilion. Ready for you & your horses!